REFLECT: Which word did Paul insert into his greeting to Timothy that was NOT normally included? RESPOND: Look for ways God demonstrates His grace in your life today. Describe one event that makes His grace obvious. 3. Not one Israelite said, "Looking at the serpent of bronze was a testimony of my faith, however, if had no bearing on my sins being forgiven by the Lord and I was saved from death before I looked at the bronze serpent." 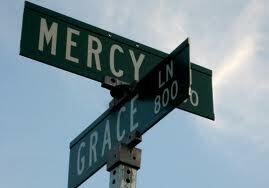 Mercy, it is only in the greetings of 1 Tim and 2 Tim. Perhaps Tim needed to be reminded of Mercy, the divine favor and compassion of the Father, separate from (or in addiction to) the grace, undeserved forgiveness. Perhaps we all need to be reminded to live secure in the Grace of the Father and have our actions reflect the Mercy of the Father.